Full inspection, testing & certification of circa 900 residential properties, including the completion of any required remedial works deemed necessary. Carry out inspection, testing & certification of the electrical installations within circa 900 residential dwellings in Cambridge, followed by the undertaking of all required remedial works. Works carried out in three separate phases so that the Client could monitor progress on the earlier phases before finally instructing commencement on subsequent phases. The project works included full tenant liaison, as we had to gain access to all 900 properties on two separate occasions. 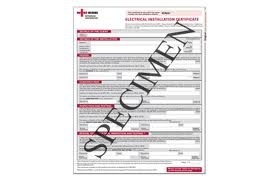 Upon completion of remedial works, all properties are to have a fully compliant NICEIC certificate.